Power Master Technology Co., Ltd. was established in 1999, and we are a young and rapidly growing company within DC Ac power inverter , AC to DC battery charger, grid tie inverter and UPS industry. We specialize in modified and pure sine wave power inverters, solar inverter and solar charge controlle with built-in battery charger, on line and off line UPS, and designed three stage battery chargers. With a global reach of many distributors, we stand firms as one of the industry's market leaders. The company with industry of integration expertise provides professional solution to accommodate customer specific needs in home and office appliances, mobile applications, marine, solar power applications, wind power, electronic equipments, and various applications. We achieve ISO 9001 certification and have put the worldwide process and quality standard into practice for consistent quality performance. Do not hesitate to contact us. Join us now! Our product series including (1) power inverters- DC AC ( DC to AC, DC-AC, DC/AC) power inverters, stackable inverter, DC/AC modified sine wave power inverter, modified sine wave power inverter built in AC charger, pure sine wave power inverters, LCD pure sine wave power inverter built in AC charger, DC to AC power inverter. 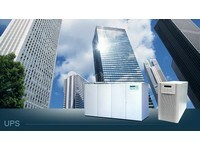 (2) solar equipment- solar inverters, solar charge controllers, solar panels. 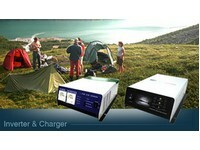 (3) battery chargers- AC/DC smart chargers, AC/DC super chargers. (4) UPS systems- line interactive UPS, online & offline UPS. 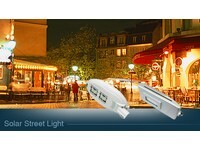 (5) LED solar street lights. (6) others- auto transfer switch, DC/AC power converters.